Well, it's that time of year, isn't it? Time to look back at and reflect on the previous 12 months, and then to look forward to the next 12. I've been doing as much in my overall personal life, but I thought I might share a few thoughts as they pertain to my budo Path. ♦ I missed quite of training this year, but fortunately not due to injury or illness. My wife, on the other hand, had the misfortune of undergoing 3, count 'em 3, operations: a C-section, a hernia and a tonsillectomy (which is a much more difficult recovery than one would think). Which meant I spent a lot of time off from working staying home and taking care of the kids and missing some budo. It's a tough thing to go without training, but I tried to at least keep my mind in the game as I thought and pondered and watched videos. And since I used all my time off, I never got a chance to participate in either the shochugeiko or kangeiko intensives. ♦ I feel like I might several strides in my aikido. Mostly small details, but with large implication. ♦ I couldn't help but feel like my judo stagnated. I'm still trying to figure out why, exactly. I made a few realizations in terms of nage waza (throwing) that I think were good and helpful, but my intentions of focusing on ne waza feel miserably short. I did pick up a few things that I brought to class and worked on, which is good, but I never got in as much "rolling around" time as I need. 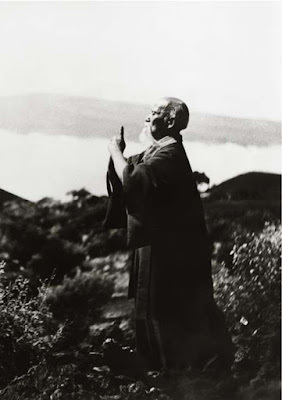 ♦ I got a few blog posts promoted on Aikido Journal, which was marvelous and humbling all at once. The thought of anyone of advanced skill level reading my ramblings has put my perspective of what I say into a new focus. I definitely don't want to sound like I'm any kind of expert, like I'm preaching "this is how it is, people." In the grand scheme of things, I'm still a relative youngster, and my thoughts and ideas I hope do not come across as pronouncements as much as discoveries. ♦ I've done some filming, which I really wanted to do, but couldn't help very self-conscious about, mostly for the very reasons I stated above. But there are some things that words just can't handle as well or as accurately as words with sound and visuals. ♦ I continue to be fascinated by Henry Kono Sensei's statements about yin & yang. I saw more of it this morning, and it's very intriguing! ♦ I've been increasingly fascinated by the chin and the elbow. My catch phrases for the year have been "the chin is magic" and "the elbow is magic." Again, this morning, I saw even more applications. ♦ It's been a most enlightening year as I've continued to open my eyes to other schools and teachers of aikido and judo and jiu-jitsu. I've discovered some wonderful things from all these perspectives and I'm grateful for them. ♦ I've been a mad man with all these dumb little drills and exercises that I sit around and dream up. I wonder sometimes if it's overkill, or helpful, so I try to keep them a "once in a while" sort of thing. ♦ I spent a lot of time earlier in the year thinking about aikido ura waza (thanks largely to Nick Lowry Sensei), which was a lot of fun, and of course eye opening. ♦ I'm hoping every one is healthier this year, and I get a few chances to take time off and attend some special events, be it play days or intensives. I worry about myself, being the highest ranking person in morning class. I still need as much teaching as I can get! ♦ I'd really like to focus on ne waza more. It will be a struggle, I know. It's not my favorite thing, but I want to like it more. So I won't only be thinking about newaza itself, but thinking a lot about how I personally approach it. ♦ I definitely want to continue to learn from other schools, arts and teachers. Time to empty the cup, abandon preconceptions and be filled again. ♦ I'd kind of like to incorporate weapons into aikido a little more. There's something about putting an object in people's hands that has a way taking their mind out of "a technique" and thinking more about the principle of the thing. Otherwise, as far the future goes, I don't know that I have too many goals. I suppose I'd like to remain fairly open to whatever comes my way. And as the past goes, I'm grateful for anyone who happens to read this little blog of mine, if anyone. Many deep, humble bows to my teachers, to my students, to my peers, to my dojo, to life, to art, to failure, to success, to friends, to antagonists, to you.